We're half way through the Baby Love Digi Paper Challengeat The Latte Lounge. The challenge is to make a baby card using digi papers and you can get two free papers in the challenge post. The winner will receive two The Stamping Boutique images AND the Baby Love Digi Paper Pack. For my cards, I used Baby Roger from Ellephantastic. He's so cute! I colored him using Copics. I used Glossy Accents on his nose and the heart on his foot. Silver glitter glue finished off the safety pin on his diaper. I used the freebie paper from the challenge and a sentiment I printed out. We have some great challenges going on at The Latte Lounge. Melissa is sponsoring a color challenge. You can make your own embellishmentwith Rhonda. We hope to see you at The Latte Lounge soon. Our Valentine's Digi Day was a huge success and we had a blast! If you missed it, you'll want to be on the lookout for the next one! All of the winners for the Digi Day Challenges have been announced! Before showing you their winning creations, I'd like to take one more minute to THANK our amazing sponsors for the party! Without you, we couldn't do it!! and Michelle Single and Jennifer Zeeb (No Hearts Challenge)- Melissa chose TWO lucky winners for this one!! So now that Digi Day is behind us, there is STILL so much to do at the Latte Lounge! So often, we hear people mention that they like to pop in and visit but have a hard time finding their way around, so they don't stay long or forget to come back! I just want you to know that we, the Design Team, at the Lounge are ALWAYS eager and willing to help!! Working with Melissa, Rhonda and Jennifer is truly a pleasure and any one of them will jump in to help out any time it's needed! So if you're visiting the Lounge and want to enter a challenge, post pictures in the gallery or join one of our Groups, jump right in! If you feel lost, ask for help!! they are very active members of the group and we appreciate their participation!! To join one of many Groups, click HERE. One of our most active groups this week has been the "Healthy Lifestyle Group." If you're looking for support for your weight loss and fitness goals, this is the place for you!! There are even a few FREE images to help you get started on your weight loss and fitness journal! To upload pictures of your projects to share with us, HERE is the link to the Gallery! To see who else is online and possibly have a little LIVE chat, click HERE! The LIVE chat window is at the bottom of that page! To see all the challenges running at any given time, clickHERE! Speaking of challenges, there are several running right now!! The Make Your Own Embellishment will be ending February 3rd (one week from today)! The Color Challenge this week is to use Pink, Teal and Black! You have til Feb. 8th to get in on this one! And what a pretty combo it is!! And the newest Digi Paper Challenge, sponsored by JLJ Designs, is all about babies!! With a chance to win an entire set of absolutely adorable baby-themed printable digi papers AND TWO images from The Stamping Boutique, come on over and play Baby Love! So how's that for ya? I told you there's a lot to do over there!! So come over to the Latte Lounge and join us!! We LOVE to play with new victims err, members! Due Mon 2/7 - Baby ChallengeI sure hope you'll stop by and join the fun!!! Edited to add -- see what happens when I am actually ahead of the game. I wrote all my posts for the week on Sunday and then accidentally posted this today instead of Featured Member. I'll do that on Friday. Sorry for the confusion!! Welcome to another day of spotlighting our incredibly talented members!!! Be sure to stop by our gallery and see all the beautiful creations!! Here are just a few!!! It's time for a new digi paper challenge! This challenge is Baby Love. Your challenge is to create a baby card using digi papers. There's a freebie from JLJ Designs Baby Love digi paper pack available in the challenge! The winner of the challenge gets their choice of two The Stamping Boutique images AND the paper pack. For your inspiration, I've made a card using Baby Fairy and papers from Baby Love digi paper pack. You have until Wednesday night to enter our Valentine's Digi Day Challenges. Melissa has a month-long winter challenge. Rhonda has a make your own embellishment challenge. You have a few days left to enter the sentiment only challenge. DIGI DAY IS HERE!!!! YIPPEEEE!!! What - Challenges, Prizes, Games, Prizes,Chatting, Prizes!!! All attendees will be receiving our very own Princess Jennifer Latte Heartbreak image!! Thanks so much to Tracey at TSB!!! We are so blessed to have several sponsors for this month's digi day!! Find Digi's With Attitude here. We hope you'll come by and have some fun with us tonight!!! I'd like to start getting back to showing off some of our very talented members work. But before we do that a Quick Reminder that today is the Secret Sweetie sign up deadline and tomorrow is our Digi Day from 8-10PM EST!!! Hope to see you there!! Our Sponsors for this event include - The Stamping Boutique, JLJ Designs, Fresh Brewed Designs and Glitterbabe's Art!!! We are sooooo excited for tomorrow!!! Now on to the ladies lovely work!! We hope you'll find some time to stop by our gallery to see all the wonderful work by our members!! Good morning! It's time for me to share another challenge with you from The Latte Lounge. This time around I am asking you to make your own embellishments for your creations. You can find tutorials all over the web for flowers, rosettes, butterflies, etc... The challenge will run for 2 weeks so you have until Feb. 3. I can't wait to see your creations. The sentiment is from The Wild Flower Patch. The DP is DCWV. I got the tutorial for the butterfly from Barbara's World of Whimcees. We are having a Digi Day this Saturday, Jan. 22 from 8 to 10 EST. We will have some challenges, games and fun chat. Also, aong with Digi Day we will be having a Secret Sweetie exchange. Be sure to sign up for that by tomorrow and we'll hand out the names during the Digi Day party. Fist don't forget DIGI DAY this weekend - Saturday from 8-10PM EST!!! Lots of challenges, games, chatting and prizes. You can find the fun here on Saturday night!! Also if you're interested in playing Secret Sweeties sign up by Friday Jan 21st in the group found here!! So far you have an awesome chance of winning the Sentiment only challenge so be sure to create a project and post it on the thread. OK think that's it for today!! Rhonda will be here tomorrow with a new challenge!! Featured Member - Brenda Dean!!!! After many years of working in the hectic, high-stress Corporate world, I left it all to be a part-time church secretary by day, full-time papercrafter by night. And I've never regretted a minute of it! I live in beautiful (but currently snowy) Upstate NY with my husband/best friend of almost 27 years and our 2 feline babies, Chevy and Callie Ann. How did you get started in paper crafting? A longtime friend and her sister came to see us in our new house in Connecticut and brought cards that they had made. I was intrigued and the sister invited me to her house for a stamp camp. I came home with a Stampin' Up! Catalog and spent hours and hours browsing through it. I was hooked from that point on. What crafting item can you not live without? This is a tough question but I would have to say my Stamp-a-ma-jig. I use it to stamp images where I want them, i.e., straight!, and also to preview what a card will look like if I add an image or sentiment in a certain spot. What is your favorite paper crafting company? I love Stampin' Up! I know that the ribbon will match the cardstock which will match the ink and the patterned paper. They have taken the guesswork out of color matching which leaves the fun part of stamping to me! What is your favorite coloring medium? One of my goals is to learn how to watercolor better but I have to say that my go-to coloring medium are the Stampin' Write Markers. I will use them directly on the rubber or I will use them with a blender pen to color a stamped image. Oh, and I have to tell you that I will scribble the marker on the plastic of my beloved Stamp-a-ma-jig and pick up the color with the blender pen. Yup, I love my Stamp-a-ma-jig. Do you have any other hobbies? Digital photography is probably my top hobby right now. My goal is to photograph barns this year (older barns have always intrigued me!). And I love to read when I have time. Is there anything else you would like to share about yourself? People are always amazed to discover that I have 2 Masters degrees and that I was a computer geek in my Corporate life (million dollar computers not personal computers). The geeky side comes in handy when I want to make changes to my blog. Be sure to stop by Brenda's lovely blog and say hello!! Thanks for coming by today. Blessings!! We're halfway through the Something New Challenge. I used my new Big Shot with a Cuttlebug Thank You embossing folder to make this card. The image is from Some Odd Girl and she's colored with Copics. Stacie is sponsoring the "Sporty Saturday" challenge for another week. You still have a few days to enter Rhonda's "Happy Birthday" challenge. The MONTHLY CHALLENGE, hosted by our lovely Melissa is to "Create Anything with a Winter Theme". Secret Sweeties: A special gift exchange for Valentine's Day. The sign up deadline is Jan 21st. You will get your "Sweetie's" name on Jan. 22nd at our Digi Day! Who: everyone is invited... RSVP at THIS LINK so we'll know how many cups of Latte we'll be serving up! Just another quick update with the happenings at The Latte Lounge!! What - fun, challenges, games, trivia and PRIZES!!! Also don't forgot to sign up for our Secret Sweetie!! You'll receive the name of another gal and send her some goodies and in turn someone else will have your name and you'll get some goodies!! We did at Christmas and it was wonderful fun!! Monthly - Any Winter Themed Project - due January 31st. We sure hope you'll come by and share the fun!!! There is so much going on at The Latte Lounge! We have challenges, chats, groups, discussions, events and more fun than you can imagine!! There are FOUR challenges going on RIGHT NOW!! I (Stacie) am sponsoring the "Sporty Saturday" one! to "Create Anything with a Winter Theme". So, there's something for everyone!! And it's not just for card-makers!! You can submit ANY project to ANY of our challenges!! Using the "Basketball" Cricut cartridge, a 12" x 24" mat, red, white and blue vinyl and my Cricut Expression, I made this wall art for my 8-year-old! Secret Sweeties: A special gift exchange for Valentine's Day. Sign up deadline is Jan 21st. You will get your "Sweetie's" name on Jan. 22nd at our Digi Day! Welcome to our first Featured Member of the new year. I am so excited to introduce you to Heather Dennis. She is one of the kindest and sweetest ladies I have met in my life!! How did you get started in paper crafting? What crafting item can you not live without? What is your favorite paper crafting company? I use a lot of American Craft Papers, but there are SO many wonderful companies out there. It would be impossible to choose a favorite! I also love Papertrey Inc. basic white cardstock. It is so thick and lovely! I love to cook. I also paint birdhouses, ornaments and other things like that from time to time. Oh… well, you already know everything about me if you have seen my posts here. I am pretty open to share everything about myself. I sing with my husband at church on the praise team. He plays the guitar too. I am a homebody and I can usually be found here… cooking, cleaning, teaching the kids, stopping fights and so on. I do not have many friends here, but am so blessed with wonderful online friends. God always places people in your life and reaches out to you in ways you could never expect or imagine. He has blessed me daily with my online friends and I thank him daily for each and every one of them. It really amazes me when I sit back and think about it. God is so good. Now check out just a few of Heather's fabulous creations. You can find more inspiration on her blog -- Heather's Coffee Break. My challenge for the next two weeks is to use Something New. It can be a new image, new papers or embellishments, a new technique, or new tools. The prize is two images from The Stamping Boutique. My first card uses a new image (at least to me) - Princess Jennifer Latte Shopping for Shoes. a new image. I used a new-to-me image 50s Sweethearts from The Greeting Farm. I tried flocking for the first time, which is really fun - check out the fuzzy heart. The papers are from Hearts and Flowers by JLJ Designs. Rhonda has a Happy Birthday challenge until Jan 20th. Stacie has Sporty Saturday (say that 10 times fast)! The January monthly challenge is winter. We have some special events coming up too. You can join in Secret Sweeties for a Valentine's "candy" exchange. Mark your calendars for our first digi day of the year on Jan 22nd. Stacie has moved her challenge to Saturday so I'm taking over Wednesdays!! I'm not nearly as good at alliteration as she is!! You can now count on challenges 2 days a week over at The Latte Lounge Main Forum. My challenge is to use a sentiment as the only image on your card. The challenge will run from today until 11:59 PM January 25th. The prize is 2 images from The Stamping Boutique and let me tell you Tracey has recently added some absolutely wonderful images. Here's my sample card using a Unity Stamp image and JLJ Designs Digi Paper Pack. Some other happenings are the upcoming Digi Day on Saturday January 22nd with a Valentine's theme -- challenges, chatting, games and lots of fun!! There is also a small group of us supporting one another as we find our way to a Healthy Lifestyle. We hope you'll find some time to stop by and see all that's happening!!! After speaking with my Latte Lounge teammates, we have all decided that we're fans of "alliteration". repetition of a particular sound in the first syllables of a series of words and/or phrases. What that means to you, dear Reader, is that from now on, the Saturday Challenges will all include some kind of alliteration. This week, the title of the challenge is all the letter "S"! (Sporty Saturday). Everyone seems to have jumped past New Years and leaped right into Valentine's Day and we've all forgotten one of the biggest holidays of the year: SUPERBOWL SUNDAY!! So in honor of all the football fans, to those gearing up for March Madness, and for those who like to go shopping while hubby hogs the remote, this one is for YOU!! 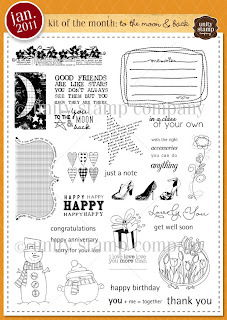 You'll have two weeks to submit anything "Sporty" over at the Latte Lounge for a chance to win Stamping Boutique Images!!! I hope you'll play along and join us for this Sporty Saturday Challenge! Good morning!! It's time for a new challenge at The Latte Lounge. This time around I'm asking to see your Birthday creations, since my birthday is next week, I thought this would be fun. The challenge will run for 2 weeks so you will have until Jan. 20 to enter. The prize will be 2 images of your choice from The Stamping Boutique. For this card I cut out the cupcake and sentiment using my Cricut that I got for Christmas. They are on the Sweet Treats cart. The DP is DCWV. The image and sentiment on this card are from Mo's Digital Pencil. I colored the image with BIC Markits. The DP is from my stash. I made this card for my son who will be celebrating his eighth birthday this Sunday. The image is from The Stamping Boutique. I colored the image with BIC Markits. The DP is from JLJ Designs. The sentiment is from Mo's Digital Pencil. I can't wait to see all your birthday creations. Also don't forget the Monthly Challenge at The Latte Lounge. For January the theme is Winter. We will be having a Digi Day on January 22 from 8 to 10 EST. We will also be having a Secret Sweetie exchange with this. You'll want to sign up for that by January 21 and we will send out the names during Digi Day on the 22. We hope to see you there. ABC Challenge - Last week! It's the last week to enter the ABC Challenge at The Latte Lounge. I have two projects to share for this challenge. These bows are made with Dots Digi Papers (printed on both sides). I usedthis tutorial, which I modified by making each strip 1" shorter to allow me to use a letter sized sheet of paper. I had a few more gift card holders to finish for Christmas this year. 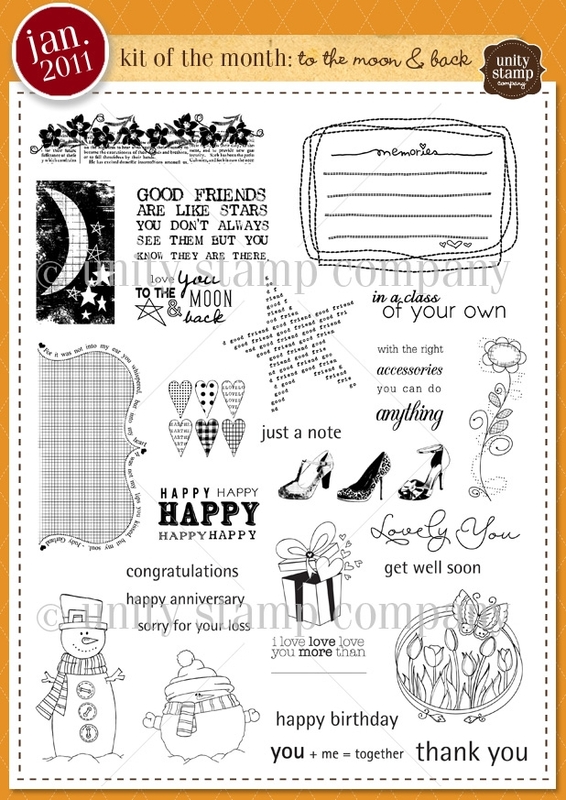 I used this tutorial and mini stamps from Your Next Stamp. The papers are DCWV and I used some new buttons I got in the after-Christmas sales. We have lots of excitement planned for this year at The Latte Lounge. We'll be having a digi day Jan 22nd 8 - 10 pm ET. New challenges will be starting this week.